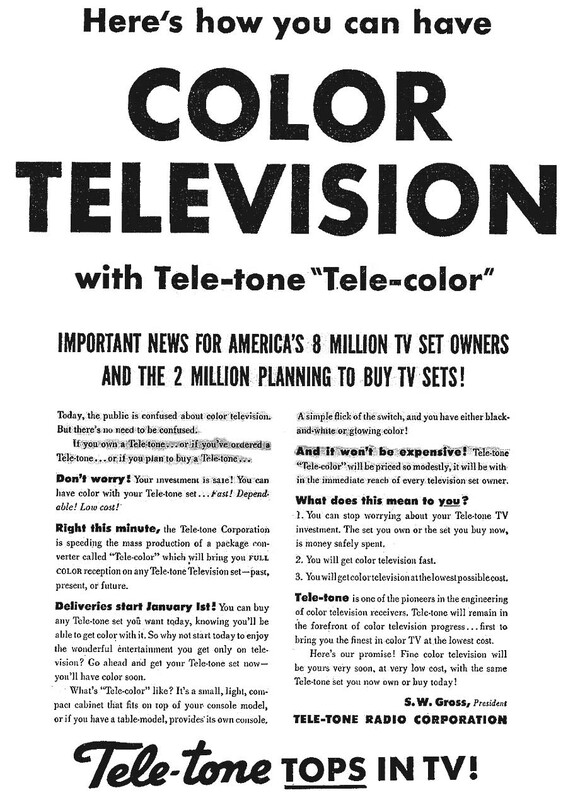 The above full page New York newspaper ads shouted the announcement of CBS Mechanical Color Television which had just been approved by the FCC. 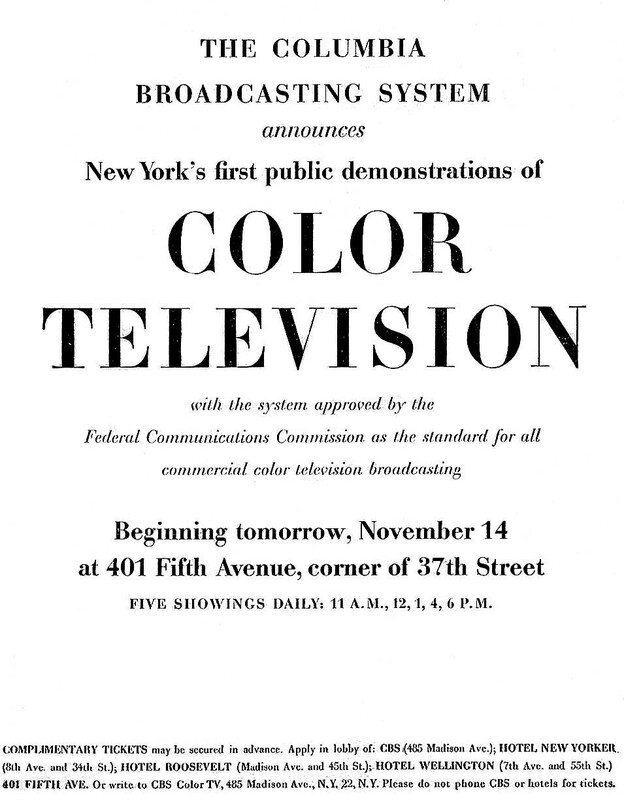 Public demonstrations of Color TV were immediately arranged in New York. 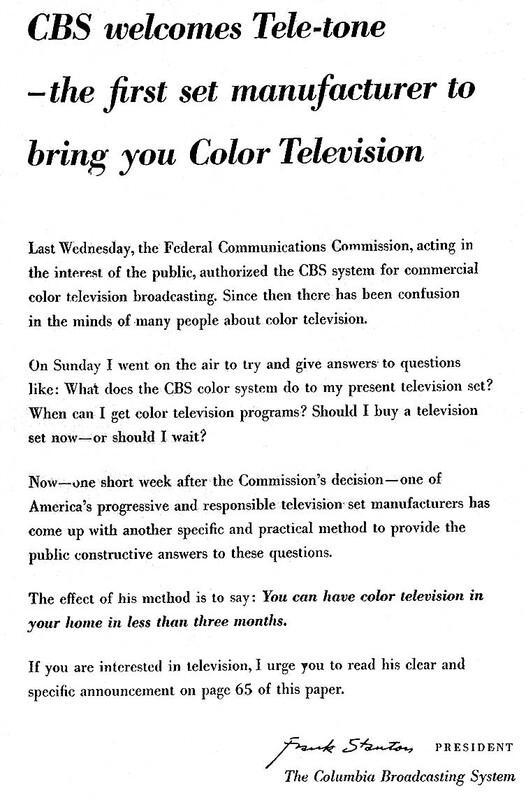 Also, the Tele-tone company was authorized by CBS to make color adapters for use by B&W set owners. The rush to manufacture and sell sets/adapters was on ... but no one was buying. The public took a 'wait and see' attitude. 1950 Motorola Television - 20 inch and 16 inch screen size. The famous dancing "Old Gold's" cigarette ad, which carried over to the early television ad campaigns. 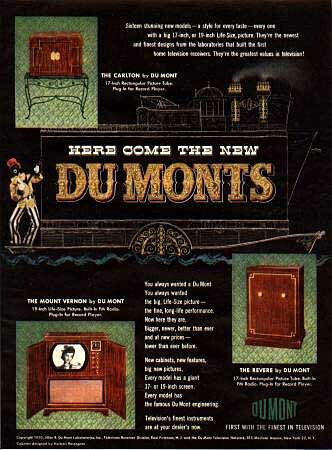 For those that can remember the original commercials, what a 'blast from the past' !